Which apps do you use on your phone? Let me make this clear beforehand, since this isn’t a technology blog, I’m not going into the zone of creating, using or suggesting any apps here. We are all users and have varied experiences. My interest is merely out of curiosity. 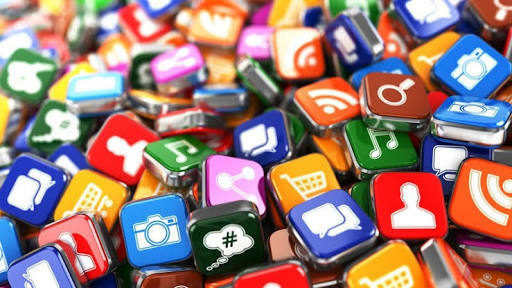 What are the most common apps that you use on your phone, apart from Whatsapp, Google, Facebook, Twitter or other social media apps? How many have you installed and/or uninstalled because they didn’t match your preferences? How many do you swear by, can’t do without or would go as far as recommending to someone? Are there any apps which are simply occupying your memory space but aren’t serving any purpose? Do you think they make promises they can’t keep? Do you review and overhaul your phone apps often? For me, Dictionary, WordPress, Instamag, etc. are my current favourites. For online shopping there are Amazon and Flipkart. I don’t use Skype, but sparingly use Imo and find it satisfactory. I haven’t come across any impressive photo-editing apps yet, although I tried many. Also, I somehow don’t find myself using any news apps for some reason. I’m not into ‘trying’ anything for the sake of it either. Amazon, Snapdeal and Flipkart are always there just to confirm that I am making the best deal or you can also use Buyhatke app fo rthis purpose but sometimes it doesn’t show proper results! Better install byju’s learning or some math and science app ???? coop poop boop boop ???????????? once they get your number, they become your worst nightmare! I joined IIT coaching while in class 8. I really don’t know why. One day dad comes home from work and says, I have enrolled you for IIT coaching and I ask him what is IIT! I really don’t know. I quit after one year, thank God! One of my classmates from that coaching was my brother’s classmate and he actually remembered me when my brother asked him. ???????????? My marks were below average in science subjects and way above class average in mental ability (subject) ???????????? Mental ability is not about psychology kiddo ???? it’s about logical reasoning. Math Puzzles math and Einstein riddles types. Nah, here there are coaching classes by name BASE. They have IIT textbook guides too, if you want to check. Very famous coaching institute. But sometimes I feel I should have choosen psychology.. I read a lot about those topics. ???????? there is a game called Einstein’s riddle/puzzle on Google play. Download that. It’s very interesting. ???? Btw, did you know the answer of that question? I don’t know your teacher’s birthdate???? See….you could be the teacher here. ???????? Ya…mental ability is something even the best acedemics aren’t good at sometimes. Psychology would have been a good choice. Hmm yep. Seeing my spiritual side, or rather, my non-weird side, you are saying this isn’t it Varsh ???????? And now, I have thoughts of joining our for masters ???????????? this is why people say opportunity knocks the door once. When it did, I said wrong door. Now I am knocking and there is nobody on the other end to open the door for me ???????????? Face palm moment it is called ???????? Yaar we need to take lessons from these kids now. Kal mera beta bolega…kya Mamma aapko ye bhi nahi pata! ???????????? ???????????? better to be ignorant. Technology has taken over our lives. I am slowly turning Anti digital ???? I think that’s called analog isn’t it. ???????????????? Wow…those are some great recommendations! Are all kids so app-friendly nowadays? I seriously feel like a grandma…I haven’t even heard of these. ???????????? Nahi beta…my teeth are strong…main Colgate use karti hun…see ???????????? I am the most boring person it seems.. I don’t use many apps.. I have whataspp .. ebay and showbox installed..these are the ones that I use all the time. Don’t think I will be installing any new ones either. . Don’t have that much time to use everything. Moreover I beleive a phone is to communicate ???????? All day I spend on a laptop so don’t need the phone that much.. I am even more boring than you biks ???? Well, atleast phone wise ???????????? Hmmmmmm.. ok take ur word for it..
Wow…boring people too compete? ???????????????? Offcourse… anyone to compete over. .. Phones are for communicating…internet mein bhi communicate hota hai na. ???????????????? I don’t use apps much…but I’m curious about so many apps available. Currently we are Woking on a app too.. for warehousing..
Jao phir…I won’t use it! ???????????????????????????? Ha ha ha.. you won’t have use of it.. but I will email it free for you..???????????? My phone apps – WordPress which is getting uninstalled after two weeks. WhatsApp, already uninstalled. Curiosity – will never uninstall ???? Some stupid game for 1-2am playing, thanks to Insomnia. ???????? That is also getting uninstalled in few days. I think I should switch to Nokia 1100 ???????? ???????????????? I slept at 3 in the morning???? my Kindle is usually near my pillow, and sometimes I finish a novel and sleep. ???????? What else can I do ???????? which one? original or paperwhite? Ever since I got a Kindle, I don’t like to read hard copies. I recieved two books as a part of giveaway from Goodreads. I read one, yet to read the other. ???? what does this giveaway mean? They give you books for free. ???? So how do you get it? Do you need to take part in a competiton? Nope. Just enter giveaway. Usually these are conducted by authors, budding ones and giveaway is a way to promote their books. I have to give a review, and before that I need to read. ???? I am getting excited, how can I have one? can you send any link or something to that? Goodreads.com register. Then giveaway category. yeah, just tried it and enterd a giveaway too… which books have you won from givaway? Link ok, something like link means????????????? Me too…don’t have a Kindle yet. Ya right….sahi tha yaar wo…just when I started how to play the game I changed my phone ???????????? Mast gaali deti thi usko tab main. Aaju baaju mein log chaunk jaate the….kya hua ???????????? ???????????????????????? Kidhar baithe ho….main hasi to meri beti mujhe dekhke aur zor se hasti hai ???????????? We both spoil our comment sections by something useless…you are a baccha…tumko officially allowed hai. ???????????? Its fun Harsh….its ok…dil kholke bakwaas karo…blog apna…comment section apna…jisko prob ho wo na padhe…meri bala se ???????????????? I am not much of a techno savy person. I have fb, WP, WA , dictionary and gaana. That’s it! I agree with R. We are becoming slaves of technology and it is eroding our brains. Now other than a couple of telephone numbers I don’t remember any of them.!! Absolutely agree. Technology has definitely made our lives so much easier, but at the cost of making us it’s slaves. It is gradually killing our creative instincts. we find ourselves always tangled in the web of internet but its not true for all. or for what purpose we are using this techonolgy! Agree. As long as we limit it’s usage and not allow it to run our lives, it is a blessing! To an extent…yes. we can out limitations on us though…isn’t it? Yes, it requires a conscious effort though. Sometimes I don’t store numbers just to ser if I can remember them. ???? Haha….haven’t tried it. Just remember hubby s and son’s number. ???? and a couple of handline numbers….. That’s the state of my memory….thanks to the smart phones???? I have a very good memory for numbers. Its fun to try it. ???????? Time to buy a new one! Wow…lucky you. You have a life we don’t know of. Are those still available in the market? ???? Lol…it just has a inbuilt memory of 4GB!! something that looks out of place when we have 32/64 GB ROM! The phone works great otherwise! That’s what matters…don’t you think? With great memory comes great responsibility ???? to use it. We download movies…music…apps…we don’t need. True..I do feel handicapped sometimes but then it’s inevitable with the new phone as well! which one do you use? I have a Samsung Galaxy Grand since last one year and its working fine. Yet, I have people asking me in amazement…’You are still using it?’ ???????????????? I got this one basically to be able to take my girl’s pics, and a camera is a liability sometimes. I use it for blogging a lot. camera…liability? You mean space & weight constraints? DSLR..I suppose! Na…I’m not too much into photography to go for a DSLR. I have a Sony camera. Liability, because with 2 kids I already have a lot to pack and carry…so a delicate camera can get thrown away ( it actually did once ????). Exactly. I’m a hobby photographer…won’t even call myself amateur. My skills are more or less limited to scenes or locales I visit and want to remember later on. So, lighting or other effects go tangentially over my head. ???? It’s a smartphone not a feature phone! ???? Nice to read. Initially i too had downloaded several apps but later found that they werent of much use really. presently the apps i use are wordpress, quora, gmail, wynk & gaana for music, m-indicator for info on mumbai locals…thats it. uninstalled FB few days back. There is another aspect to it as well. As i dont have PC at home and laptop is hardly used, mobile is mostly used for net, as these app open just by a single touch without need for typing any user id etc there is temptation to keep checking updates unless mobile is physically kept away ; just tryi ng to control that as even kids sometime say “aap toh mobile hi karte rahte ho esp whrn they want mobile to play games???? Hahaha….I can understand. That is one reason my phone has no games. No one is interested in it. ???????? My phone has Twitter and Whatsapp for social media. Had Saavn some time back but removed it since I didn’t use it much. There is something about being surprised with a song, I feel. When anything is at your fingertips it somehow loses its significance. Don’t you think? Wow…singing duets is so cute. ???? A can’t sing to save his life. In fact if he even tries to sing, I dare him to continue in my presence lest I will throw any possible thing (and my unsparing criticism) at him with full force. ???????????? i wont call myself a good singer but i can improve with practice…but i do put my heart and soul when i sing ???? When I ask him to sing for me the first song he sings is Teri Meri Kahaani….from Gabbar…and says it is because it is baarishon ka paani and I’m Varsha. ???? The worst part is when he confuses between singers. That is a crime! I can’t let that paas yaar. ???????? Now see…this is a guy supporting another guy. Not fair. You are my friend. Take my side! ???? i will always take side of what i feel is right be it friend or even wife !! ???? Yes man banne ko kisne kaha. ???? dekha live example of confusion caused by written words ???? Hahaha….pata hai. Mazak kar rahi thi. You are free to say what you want. I hardly have anyone supporting me anyway. Virtual world mein bhi A beats me at that. ???? that may be termed as mild emotional blackmail ????????. Okay Mr A is not a good singer !! pati ki burai sun har mahila khush ???????? Nahi nahi…main is baat se khush ki mahila kitni aasani se purush ko apne shabd badalwa sakti hai. ???????????? tumne toh niruttar kar dia ???????? Dhanyawad. Asha thi kuch aisa hi hoga. ???????????? topic change karte hain ???????? have u seen omkaara , movie of ajay devgn n kareena ? Oh yes. I love that movie. I became a fan of Ajay Devgan after seeing it…no actually it was after Zakhm…but he is just too good anyway. i saw it first ten years back and second time i saw it late night on tv…now i feel its become my most favt movie even beyond 3 idiots or hum dil de chuke or baahubali. this movie has a mine of learning to learn from…what a movie. Exactly! It is a form of Godfather. Has so many layers to every character, that each one gives something to ponder. probably the best role i have seen karina or ajay devan in..
Kareena isn’t irritating. That itself is a compliment for her. Yes. I liked her in this…and Jab We Met. Rest…suffered her. what was the most imp thing you learnt from it ? Trust…faith…commitment…belief…in your love…in the sanctity of your relation. Hearsay can ruin the best bonds. He was gullible…he believed Saif and killed Kareena without even confronting her about it. He might be strong but he wasn’t foresighted. No…he wasnt…do you remember he telling him that sometimes he felt saif was cunning and he simply made up story abt her..
Yes…but nevertheless he killed her. yes do you know the exact reason for this ? lack of proper communication…and internalizing things..
you are becoming a victim of my overcommunication now it seems ???????? We are saying the same thing…simply using different words. Yes…I know..Omkara talked with Vivek Oberoi on the phone. Vivek spoke about Bipasha and Ajay thought it was about Kareena. yes in life sometime what you see and hear may also be false or out of context..so never be overtrusting of even urself..its different from confidence. His was the most beautifully written character. He was cunning…brutal…yet underplayed his game. Ok. Thanks for stopping by. while i finish some office work ???????? just one last point…nahi toh mere pet me dard hoga ???? violence is never a solution…even if kareena had been disloyal he could have left her. thats all abt omkara ???????? Yes. The best for the last. Nothing is the end of the world. You don’t die for losing anyone or anything. That’s true. ???????? Ab nahi hoga dard. Happy digestion. ☺??? ?